Choosing a web hosting company is a crucial step in starting your own website. A web hosting company is a business that provides the technologies and services that a website or a webpage needs to be visible and accessible on the internet. When it comes to choosing a web hosting company, there are a couple of questions to ask. How to choose a web hosting company? What is the best web hosting company? Which web hosting company is best for the function your website? As you know, in this day and age, everything is digital. Whether you are running a business or spreading a message; sooner or later, you’ll need the help of the internet. Therefore, to find the answers to the questions stated above, read this article from start to finish. When choosing a web hosting company, you need to know your requirements as an online company. Furthermore, it’s crucial to know the resources that will be required to keep your site running. Estimating your daily visitors is a very useful step in finding the appropriate host. Without a general understanding of how many visitors your website or business you are likely to get, you’ll either pay far too much for a needless large server or far too little for a server that can’t keep up with increasing traffic. For example, basic customer service provides access to email, ticket and phone support. Some service providers offer 24-hour phone support. Different web hosting configurations will appeal to users based on the size and traffic of their website. 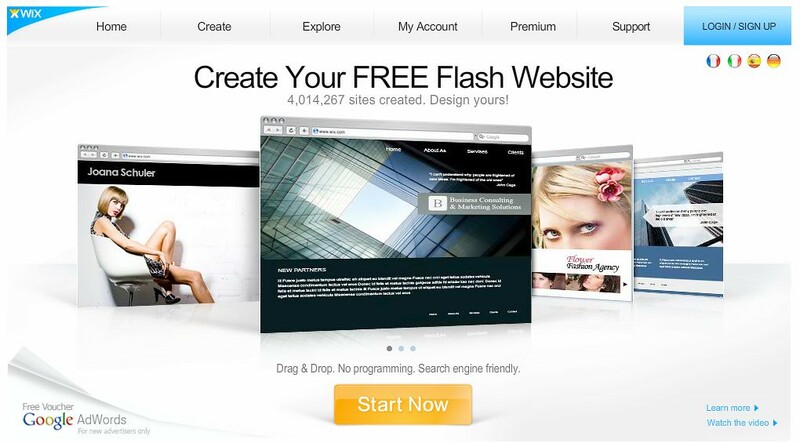 It’s very possible for someone to create almost any type of site with limited experience. However certain types of site management tasks will require different levels of technical experience. If you’re confident in your knowledge, you may be able to administer your own server, but if you are less confident, you’ll have a difficult time knowing what goes and what doesn’t. As a result, your failure can lead to major losses. Therefore, If you want to let someone else manage your website on behalf of you, you’ll need a managed service. Managed service providers will make sure that your system is configured properly for your load and keep an eye on your security. In addition, they will patch your software and manage backups. A personal portfolio website doesn’t need a dedicated server, just like a high-traffic, a high-volume online store shouldn’t be in a deal with the cheapest shared hosting plan. If you are choosing a web hosting company as a beginner, you should try shared hosting. In shared hosting, several customers and websites share the same server. As you progress, you can decide when it’s time to upgrade to a VPS or dedicated plan to meet your increasing needs. Keep in mind, price, support, storage, and performance are all important features to consider when picking between the best shared hosting services. In addition, there are other features such as eCommerce offerings, free domain options, perks like advertising credits, a website builder and upgraded hardware. However, as server resources are split among so many sites, your performance will sometimes suffer as your website grows. Therefore, if you’re ready to get serious and boost your traffic, you wouldn’t need a shared hosting plan anymore. VPS (virtual private server) is divided into virtual machines, which act as independent dedicated servers. Even though VPS customers also share a server, they each have much larger portions and greater control than those with a shared hosting plan. The best VPS hosts usually include storage with high-speed SSDs, solid-state drives, managed services for software updates and patches. If you own a high-performing website and you are choosing a web hosting company, you need dedicated hosting. Dedicated hosting involves using an entire server to power your website. As a result, customers have complete control over customizing security systems, operating systems, load balancers, and more. However, dedicated hosting plans are among the most expensive. When choosing a web hosting company, the type of your website will determine which features are most important to have. For example, some hosting providers promote eCommerce functionality while others concentrate on blogging and search engine optimization. WordPress is a content management system for writers looking to blog online, that powers more than a quarter of all websites on the internet. Most hosts offer one-click installations of WordPress, but the best providers include upgraded hardware, unlimited storage and bandwidth, pre-installed programs, and dedicated WordPress support. Consumers buy more things online than in stores. More than half of the US population shops online. Therefore, businesses should find a web host with strong eCommerce options. The best eCommerce hosts take care of the security requirements associated with protecting customer and payment information while also providing templates that are well designed. In addition, they offer access to shopping cart software, and to services such as PayPal and email marketing tools. It’s crucial for employees to have an online presence if they’re looking to get a job. Website builders are the fastest way to produce a professional online presence that showcases your work. Top website builders such as Wix and Squarespace offer standalone services and customized themes to help you with your employment. If you’re looking to post pictures of your vacation or provide information about your event, choosing a web hosting service that is low-cost and high-value is the way to do it. Therefore, when choosing a web host, keep an eye out for hosting providers that include high-speed solid-state drives or a content delivery network. Business owners expect their business website to grow around 15% each month if all goes well. Therefore, you’ll want to find a hosting provider that can handle a growing business. When choosing a web host, look for a service that meets your specific needs. Therefore, you should understand the hosting components and limitations of the providers. Many shared hosting providers offer almost unlimited storage. 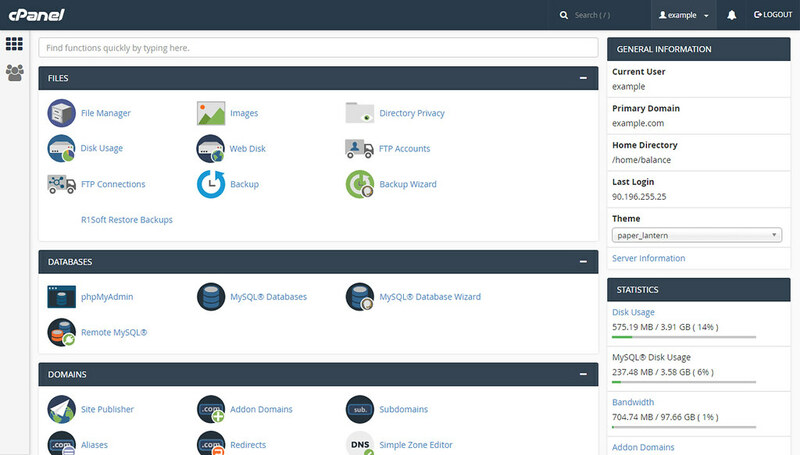 However, you can configure your storage as you move to VPS and dedicated plans. When it comes to web hosting storage, SSDs (solid-state drives) are much faster and more reliable, but more expensive. However, traditional hard-disk drives are more common because they come with higher capacities. When choosing a web hosting company, bandwidth is a very important component to understand. Bandwidth, also known as data transfers, is responsible for the amount of data downloaded or uploaded from a website. The capacity that your website requires isn’t just a matter of traffic, but also a matter of the content shown on your website, also known as file size. The bigger the file size, the more storage and bandwidth that your host will need. For example, a site that mainly consists of text will need a smaller amount of storage and bandwidth, while a site that consists of high-quality images will need larger amounts of both storage and bandwidth. The more bandwidth, the more people who can view your site at the same time. As a result, getting high bandwidth is a great way to increase your site’s traffic. Your domain name is your website’s address, and It can be registered and hosted with a different company than the one hosting your site’s files. Keep in mind, for site owners, a strong domain name grants more brand awareness. Many of the best domain hosts include free transfers. In addition, some providers include free domain hosting for the first year of newly registered addresses. Email hosting is an Internet hosting service which operates email servers. Business owners use email hosting to gain name awareness by including their domain name in email addresses. In addition, when choosing a web host, you need to know that hosting providers will often include advanced email features, such as forwarding and filtering services, auto-responders, and enhanced security. Every second where your site is inaccessible, it causes your business to lose a lot of money and reputation. Uptime is the amount of time that a server has stayed up, and it’s a great measure of how good a web hosting provider is at keeping their systems up and running. Most hosts guarantee a certain amount of uptime and will reimburse you for any unplanned outages that weren’t supposed to happen. Guarantees typically range from 100% to 99%. If your host has weak security, your website will be open to all kinds of attacks. It’s also crucial to know that certain types of sites require most security than others. Therefore, when choosing a web hosting company, be sure to look for the providers that include firewalls, monitoring services, automatic backups and other security features. Furthermore, if you have a question or need technical help to defend an attack, customer service should be present, responsive and ready to assist. A crucial rule to understand when choosing a web hosting company, hosting companies will suspend your account if you are using too much CPU power or violating their rules. Therefore, before choosing a web hosting company, read their rules to avoid suspension. Furthermore, web hosts won’t allow the hosting of any illegal files and/or services. Therefore, if your website allows people to download pirated files, your account will be suspended as a result. When choosing a web hosting service, it would be best to choose a service that offers fewer restrictions. In addition, choose a web host that is honest with what they do and don’t offer. The question of how to choose a web hosting company that is both cheap and of quality can be a little hard to answer. When choosing a web hosting company, your costs need to factor into your decision, without sacrificing support or performance. When it comes to choosing a web hosting company that is free, there are many web hosting companies that provide free web hosting along with other services that you can buy. However, as much as the savings are attractive, the added features, support, and security that you can have by signing up with a reputable hosting provider are worth the slight cost. Hosting companies can pack thousands of customers onto a shared server; therefore, providers can afford more services with hosting plans. By signing up for a hosting plan, you can have the luxury of options, such as content delivery networks, automatic backups, website builders, and eCommerce tools. When choosing a web hosting company, it is much better to choose hosts that you can stick with, in the long term. HostGator is a very good choice for that type of web host, which has powerful hardware and award-winning support. As your website grows, your requirements are likely to change. As a result, you don’t want to have to switch your web host, that may not meet your new requirements. Therefore, it’s wise to choose a hosting company that can handle and support your growth. When choosing a web hosting company, you have to know which technical components that the hosting company supports, in order to know whether your website-type can be run or not. For example, if you’re looking to host a WordPress or E-commerce site, you’ll need to know whether your hosting company supports their technical requirements or not. If the hosting company does not support the technical requirements of the type of website that you’re building, then there are no other considerations for that company except leaving it. If you want to know how to choose a web hosting company, you need to be aware of the languages and frameworks that your website uses. Therefore, you’ll need to be aware of the coding languages and frameworks that your site will need and the versions of those languages and frameworks. For example, a common language that content management systems use is PHP. If your site needs PHP version 5 and your host only supports version 4, your site won’t work as a result. Here are some languages and frameworks that your site might need: PHP, Node.js and Ruby on Rails. Once you’ve decided the type of site that you’ll be creating, find out what its language and framework requirements are and examine your hosting options accordingly. If you’re creating a dynamic site (e.g. WordPress) rather than a static site (e.g. an HTML template), it’s very likely that you’ll need the ability to create a database. If so, you’ll need to find out the type of database that you’ll need and if your host can provide it or not. Furthermore, as with languages and frameworks, you’ll also need to check on the version of the database system that is available. If you’re setting up a WordPress site, there are two areas that you’ll need to check for technical requirements. The first area is the requirements of WordPress itself, and the second is those of any specific themes or plugins that you’re planning to use. The two main requirements of WordPress are a support for the language PHP, and the ability to setup a MySQL database. As a start, you’ll need at least: PHP 5.2.4 and MySQL 5.0.15. As you move on, you should have PHP 5.6 and MySQL 5.5. Note that, you’ll find that almost all hosts meet these requirements, but it’s much better to double-check just in case. Furthermore, you can gain a full insight into the requirements of WordPress that are shown on the company’s website. When it comes to plugins and themes, they have additional requirements on top of those of WordPress itself. Therefore, if there are specific themes or plugins that you’re planning to use, keep an eye out for requirements like cURL, Cron Jobs, ImageMagick and Ioncube Loader. Just take a quick look at the plugin or theme to see if anything like this is needed, then check the requirements against the packages offered by the host you’re considering. If you’re just setting up a static HTML site, its requirements are typically very simple as you usually won’t need any special support from your host. However, if you’re planning on having a contact form, some form to email scripts require CGI. Therefore, you’ll need to ensure your host supports CGI. Content management system (CMS) is a software for website creation and management and is installed on your web host account (e.g. WordPress, Joomla, Drupal). Once it’s installed you can use your web browser to access and make changes to your site at any time. When choosing a web hosting company, you’ll find that there are many options when choosing a CMS. However, in most cases, you’ll find their requirements to be very similar to WordPress. PHP is required as well as a MySQL database. However, sometimes, you’ll also find different types of databases that you can use such as PostgreSQL or SQlite. Once you’ve selected a CMS, make sure you find out what its requirements are and that the host you’ll choose can support it. Moreover, as with WordPress, if there are themes or plugins/extensions that you plan to use, check for their requirements too. Typically, the best place to look for the technical requirements of a CMS is the download page or the installation documentation. Some of the most popular content management systems that show their technical requirements are such as Magneto, Drupal, Joomla, Wix and WordPress. Generally speaking, there are two types of E-commerce systems that you might use; stand-alone E-commerce sites and plugin-based Ecommerce. For example, you might create a stand-alone E-commerce site with a system like Prestashop, or you might use a plugin such as Easy Digital Downloads for WordPress. In a nutshell, a standalone E-commerce system is just another type of CMS, with the difference being that its UI and security measures are optimized for online store creation. As such, you’ll find that the general technical requirements are the same as a regular CMS. Most systems will require PHP and a MySQL database. Some of the most popular standalone E-commerce systems are such as Shopify, Magneto, YoKart and BigCommerce. However, if you’re taking the plugin/extension path, you’ll first need to ensure that the CMS you’re building is supported by your host. The same process goes with any other plugin/extension check on its specific requirements too. The requirements of some popular E-commerce plugins are such as Easy Digital Downloads, Jigoshop, and WP-E-commerce. In most cases, whether you’re using stand-alone or plugin-based eCommerce, you’ll find that you need to find a host that can support additional security measures, such as SSL certificates. Therefore, your two best options with Ghost are to either host your site with Ghost’s own managed Ghost(Pro) service or to self-host and manage with a service such as Digital Ocean droplet designed for Ghost.